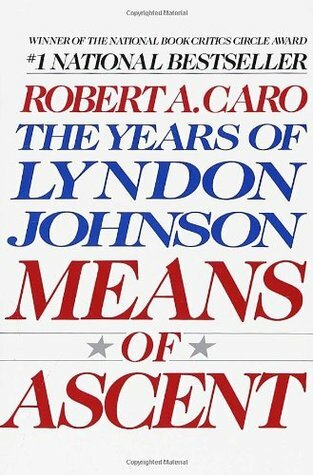 “Means of Ascent: The Years of Lyndon Johnson” is the second volume in Robert Caro’s series covering the life of Lyndon B. Johnson. Caro is a former investigative reporter and the author of two Pulitzer Prize-winning biographies: “Master of the Senate” (the third volume in this series) and “The Power Broker” about the life of Robert Moses. Caro is currently working on the fifth (and, presumably, final) volume in his LBJ series. Published in 1990, “Means of Ascent” covers seven difficult years of LBJ’s life – from shortly after his 1941 loss in a special election for the U.S. Senate (while a congressman) to his controversial 1948 Senate victory over former Texas governor Coke Stevenson. This 412-page volume is the shortest in Caro’s series but again demonstrates the author’s tenacious research habits and willingness to dive deeply into a subject. Caro’s writing style in this volume is strikingly similar to his prose of the first volume: it is neither elegant nor flowery, but is packed with intensity and a clever, if slightly unwieldy, bent. Individual sentences often read as though they were authored by Charles Dickens…but with even more punch. The third sentence in this book, for instance, contains 124 words and more than a dozen commas, colons and semicolons. Despite being an integral part of a much larger series, “Means of Ascent” is designed to be a standalone volume. Caro repeats enough of the first volume’s highlights in early chapters that a reader could begin the series here without missing important themes. And in this book’s final chapters Caro foreshadows where the next volumes will take LBJ and his insatiable thirst for power. Readers familiar with Caro will recognize the meticulously thorough research which underpins this biography; he seems to have interviewed everyone who knew LBJ…as well as everyone who knew someone who knew LBJ. 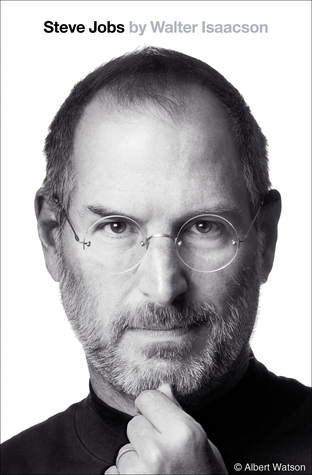 Also familiar: his use of captivating mini-biographies to introduce important supporting characters. The most important of these introductions is aimed at Coke Stevenson (Johnson’s primary opponent in his 1948 Senate bid) who receives an entire chapter – much like Sam Rayburn in the previous volume. But there are others who also receive interesting, if less extensive, treatment such as George Parr and Frank Hamer. Caro also continuously provides the reader with enough context, perspective and imagery that it is difficult to read this text and not imagine being at the scene of nearly every moment he describes. But this biography also possesses its share of blemishes. It often resembles a skilled prosecutor’s most zealous and unrelenting case against LBJ’s (admittedly numerous and disturbing) personality defects. Where the first volume systematically develops a case against LBJ, this volume feels like a blistering, non-stop critique of nearly every aspect of his character. Caro often (but not always) provides convincing evidence to support his portrayal of LBJ, but he frequently fails to include evidence that could soften the sharp edges of that portrait. Oral testimony solicited decades after an event is regularly used to condemn Johnson, but I cannot remember a single instance of testimony being used in his defense. And in the process of highlighting the darkest threads of Johnson’s character during his 1948 Senate bid, Caro elevates Coke Stevenson to lofty heights which most Texas historians probably wouldn’t recognize. Every villain, it seems, requires a hero. And if Johnson is – in the eyes of some – this volume’s controversial antagonist, Stevenson is its strangely flawless luminary. Overall, “Means of Ascent” is a commendable successor to “The Path to Power” though not quite its equal. Due to its relatively narrow scope it offers fewer piercing revelations about Johnson than the first volume, but does an admirable job bridging two extremely consequential periods in his life. Most importantly, however, “Means of Ascent” leaves the reader deeply embedded in Johnson’s life, fully engrossed in Caro’s series and eager to tackle the next volume. Another terrific review. It’s 5 stars in my book, but your justifications for its faults are well argued and insightful. I’d be surprised if Vol. 3 isn’t your favorite. I’m getting started on Volume 3 tonight – I can’t wait to see what Caro has in store for the next 1,040 pages! And I’m excited in spite of the fact that it won a Pulitzer Prize (I’ve had mixed luck with Pulitzer winners…)! Great review. I appreciate your take. I think you will see in volume 3 LBJ the true pol at work, esp if you are into the inner workings of legislation and process. Also feel Caro is appropriately harsh on LBJ; for me, LBJ is a fascinating subject. So far I’m entranced (but that always seems to be the case with Caro’s volumes – the question is whether it can *stay* this good!) I, too, am finding LBJ fascinating (in a way that JFK wasn’t but perhaps should have been). And so far I haven’t disagreed with Caro’s perspectives on LBJ – I think he might have just approached the issue of character with a slightly gentler touch, while ending up in the same place, so as not to appear too heavy-handed. But that’s just optics. *stay* this good…..I found vol 4 a bit of a disappointment compared to vol 1-3. Looking forward to what you think. Caro is an incredible writer and he can make even the most banal topics fascinating (eg., much of The Power Broker). Hence with his LBJ books, where Caro’s accounts of life in the Texas Hill Country, election-time sausage making and the verities of the Senate are equally compelling, let alone his towering, compellingly flawed subject. This book is probably the least substantial of his LBJ books, yet its in-depth account of a crooked regional election is utterly fascinating stuff – reportorial history at it absolute best. Of the series, I probably liked the most recent volume the least, mostly because it covers already very well-trod territory, but even that one is well-written enough that I don’t mind it. I have come across Charles Denyer’s book Number One Observatory Circle. It’s about the home of the Vice Presidents and there are a great number of pictures. I find it to be so interesting as usually the VP’s are seen and not heard. It’s a beautiful home they have! oneobservatorycircle.com for the info. It’s really a look into something we don’t see often. Thanks – I feel compelled to take a look even though – as you say – VPs are seldom able to make much of a mark. It’s fascinating to watch VPs transition to being President (LBJ and TR come to mind for me immediately). Strange to think that if McKinley hadn’t been assassinated, for instance, we would hardly have known of Teddy Roosevelt. Does make me wonder how many VPs would have been enormous personalities as POTUS? Aaron Burr and John Calhoun immediately come to mind. The list of non-presidential VPs is a Who’s Who of forgotten political idols. Although, I have to say Levi Morton may have overtaken Chester Arthur for the best facial hair. I found Means of Ascent the weakest of the series. That being said, the weakest in this series is still better than most political biographies. Master of the Senate is fantastic, and really the highlight of the LBJ books, although Passage of Power is a strong entry as well. Here’s hoping the last book is finished soon-ish. Means of Ascent is my favorite of the series. It’s not as politically insightful as the others, but the portrayal of that senate race is the most fascinating thing I’ve read in any biography. Means of Ascent is my favorite of the series. It’s not the most politically insightful of them, but its portrayal of the senate race is the most fascinating thing I’ve read in any biography.